Are your balcony tiles leaks causing great damage to your property? If yes, there is no need to go for expensive repairs. At United Trade Links, we can solve your issues related to leaking balcony tiles with cost-effective waterproofing services. We can do the job without removing the tiles using our proven procedure and a combination of sealants. Not only we will make your balcony watertight, we will also make it rejuvenated. How we waterproof your balcony tiles? 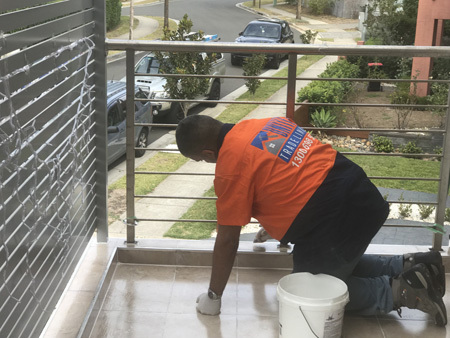 At United Trade Links, we have a tailored process and solution for repairing and waterproofing balcony tiles. First of all, we will remove all the grout from the balcony, replace or seal any cracked tiles and inject sealants in pathways. 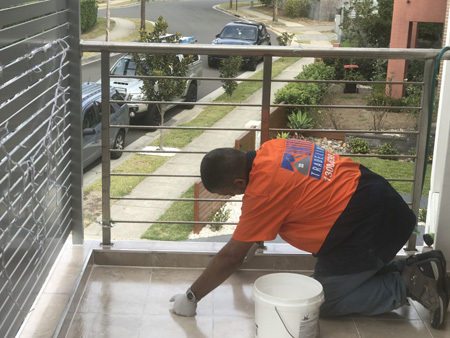 After all this, we will re-grout your balcony with epoxy grout. This will seal any possible water entrance under your tiles. We offer waterproofing services for balcony tiles for homeowners, apartment blocks, and commercial properties. 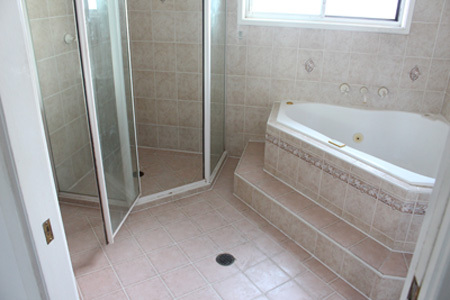 With over 25 years of experience in the field of waterproofing, we work to offer quality workmanship. Give us an opportunity to assist you with your balcony leakage problem. Leaking balcony and other defects, when left untreated, are one of the hefty expenses to the building owners. 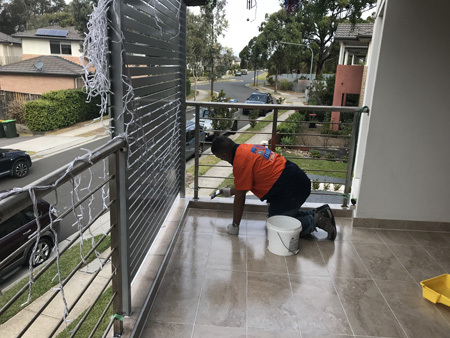 If you are one of them, you should act quickly fast to find a great solution to waterproof and repair your leaking or damaged balcony tiles. Our repair and waterproofing services for your balcony tiles will help to ensure a long-term and durable result. Call our experts today on 1300 698 559 for fast, friendly, reliable and professional services.